All animals are susceptible to infection by internal parasites, or worms. Your pet dog is no exception. In fact, there are some worms that can even infect puppies through their mother’s milk, so starting with regime of deworming your dog early in your dog’s life is a good idea. Generally speaking, there are four main types of worms that affect dogs in Australia: hookworms, whipworms, roundworms and tapeworms. Some worms can cause zoonotic disease (an animal disease that can also affect humans) and therefore they are of significant concern for pet owners and people working closely with animals. Hookworm is very common in Australia. It is a particularly nasty parasite that uses hook-like mouthparts to attach itself to the dog’s intestine, where it feeds on intestinal blood vessels. Hookworms can be transmitted through mother’s milk, and therefore are an important and potentially life-threatening parasite for puppies. Severe infestations in puppies can cause anaemia, sometimes requiring blood transfusion. Adult hookworms lay their eggs, which are shed in the dog’s faeces into the environment. The eggs then hatch into larvae, which are infective. They enter their next host, which is normally either a dog, or a human, using their hook-like mouthparts, via the soft webbing between the toes, or cuts or abrasions in the skin. Whipworms are small worms that can be found within the large intestine of their host. Similarly to hookworms, they attach to the wall of the intestine and feed off the blood vessels there. Large infestations of whipworm can cause inflammation, leading to bloody diarrhea and anaemia in your dog. Roundworms are another potentially zoonotic parasite. They are long, slender worms that live in the dog’s large intestine. They are different from other worms, in that they do not feed off the dog’s blood supply, but rather from partially digested food in the large intestine. Because of this, large infestations can cause reduced or stunted growth in puppies, and ill-thrift in adult dogs. If a human accidentally ingests soil contaminated with roundworm eggs (for example, through poor hand hygiene), they may also become infected. Roundworm larvae use the body’s blood vessels to migrate through the tissues in the body (known as ‘larval migrans’), and when they reach the eye, they can cause permanent blindness. Tapeworms get their name from their long, flat, tape-like appearance. There are two main tapeworms of concern that affect dogs in Australia: Diplidium caninum (flea tapeworm) and Echinococcus granulosus (hydatid tapeworm). The hydatid tapeworm lifecycle typically involves a sheep or goat (but can also affect other herbivores, including wildlife) as an intermediate host, and a dog, dingo or fox developing and hosting the adult tapeworm. Humans are accidental hosts. Dogs pick up the worms by eating fresh offal containing hydatids cysts from infected animals. The sheep or goat and the dog do not usually suffer any ill health from contracting the parasite. They shed the worms’ eggs and segments in their faeces. Humans become accidentally infected by ingesting contaminated faeces, most commonly through poor hand hygiene. The hydatid tapeworm is of particular concern to humans, as if it accidentally infects us, it can cause life-threatening hydatid cysts to develop in the brain and vital organs. There are a number of options when it comes to deworming your dog. When shopping to buy dog wormers online, it is important to take note of which worms the dog worming product you are buying treats. Sentinel is a convenient, monthly, all-in-one chew for intestinal worms, heartworm and fleas. If you prefer a spot-on monthly treatment, Advocate for dogs is a good option (although you will need to consider buying a tapeworm treatment – something containing praziquantel- to give 3-monthly for tapeworm prevention). If you prefer to only treat against intestinal worms, Cazitel is your best option. If you have a number of dogs to treat, opt for Fenpral Dog Allwormer or Ranvet’s All Wormer Tablets bulk packs, to keep the cost of worming a dog low. Remember that dog wormers do not prevent worms, they treat them; hence it is important to keep on top of your dog’s worming schedule, making sure they are wormed regularly and effectively. Heartworms are not intestinal parasites, but rather worms that live in the arteries of the lungs and the chambers of the dog’s heart. They feed off blood in the area. The larvae of heartworm are often known as microfilariae. Heartworm disease in dogs is spread by mosquitoes. When a mosquito take a blood feed from an infected dog, it ingests microfilariae, which are then transmitted to the next animal that the mosquito feeds from. This is how healthy dogs become infected. The lifecycle of the heartworm can take 5-6 months, and therefore there can already be significant infestation in the dog before clinical signs are evident. These signs may include lethargy, coughing, weight loss and dry coat, but tend to vary depending on the individual. There are many convenient treatments for heartworm, including Revolution, Advocate, Nexgard Spectra, and Sentinel. You should start your puppy on heartworm prevention from at least 3 months of age. 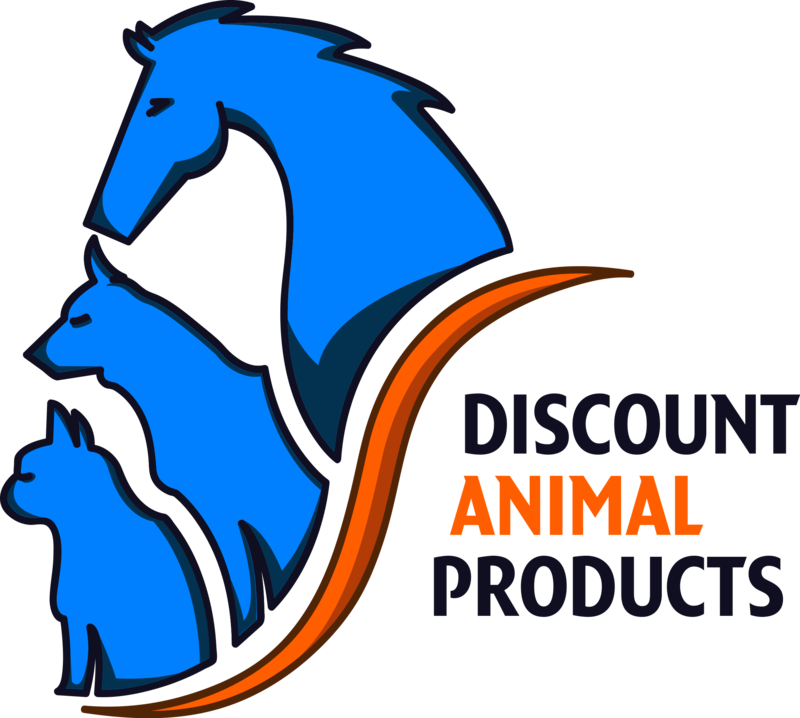 If you’re looking to buy dog wormers online, whether it’s treatment for intestinal worms, treatment for heartworm, or an all-in-one dog worming product, Discount Animal Products has a number of best value dog worming products!